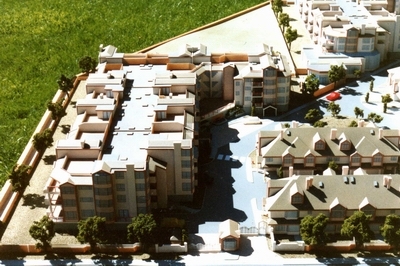 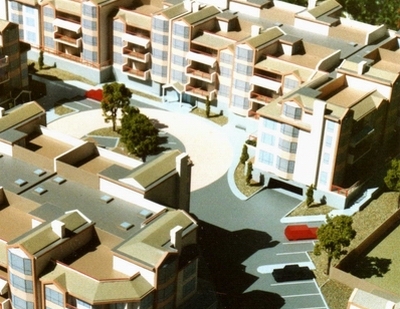 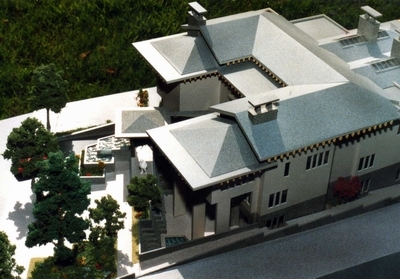 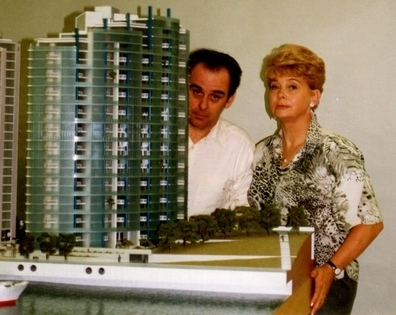 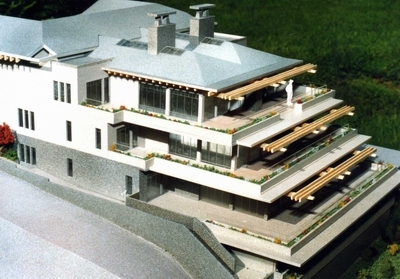 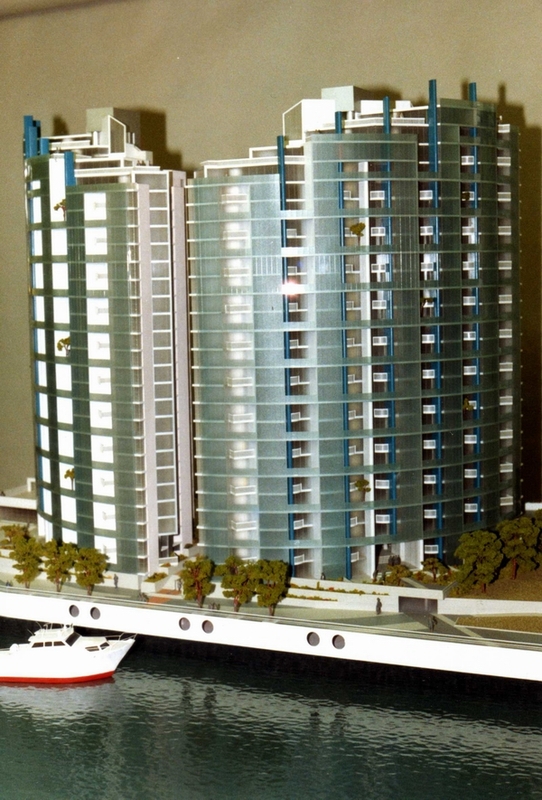 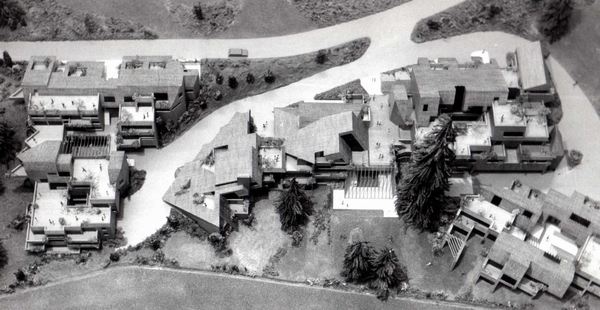 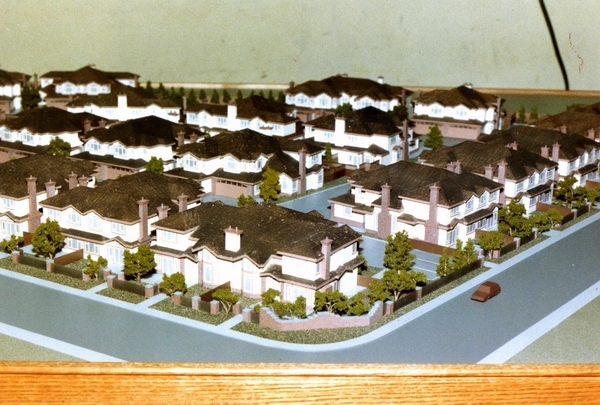 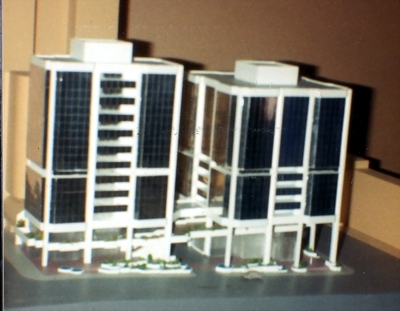 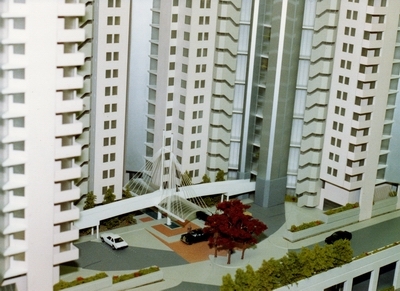 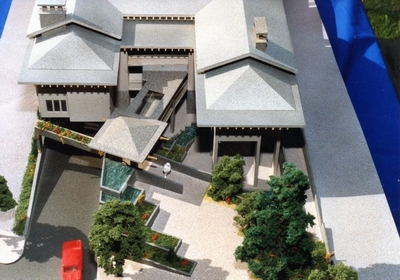 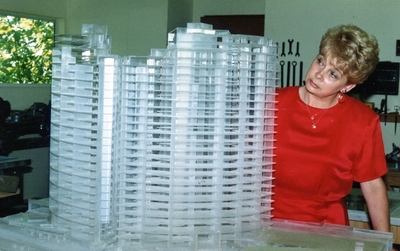 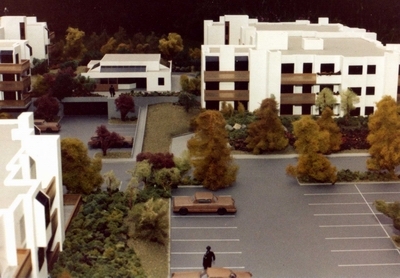 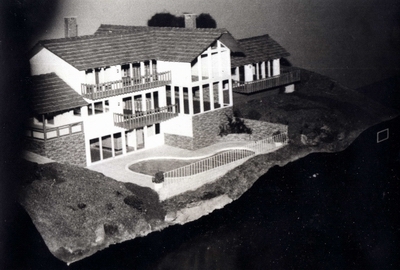 One of the developers involved in this project, was Mr. Bruce Branch, owner of the Mansion on SW Marine Drive (Casa Mia) that we built a model of, not too long before the Westminster Pier project started. 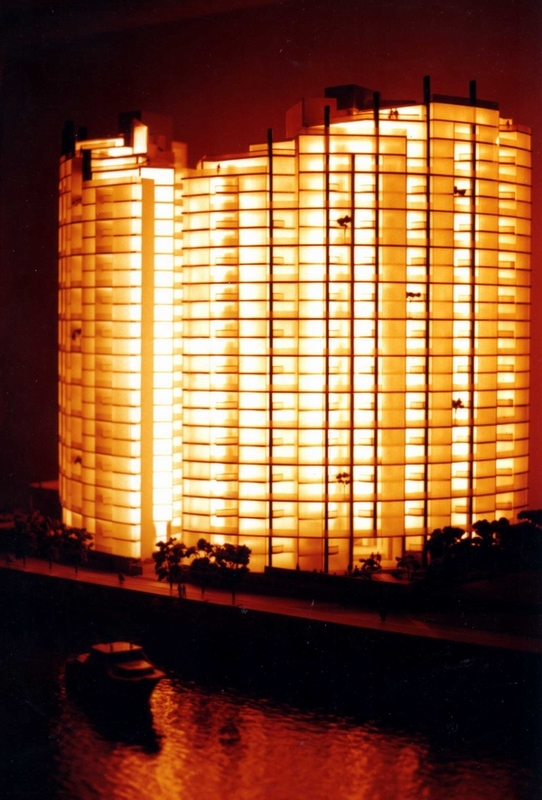 Westminster Pier was a very striking model, and as you can see, we added lighting to the interior. 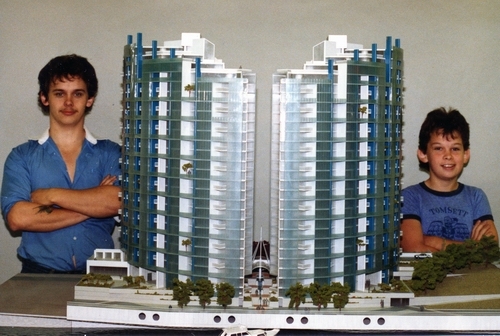 The small motor yacht in the for-ground, is a rough copy of one owned personally, by Mr. Bruce Branch. 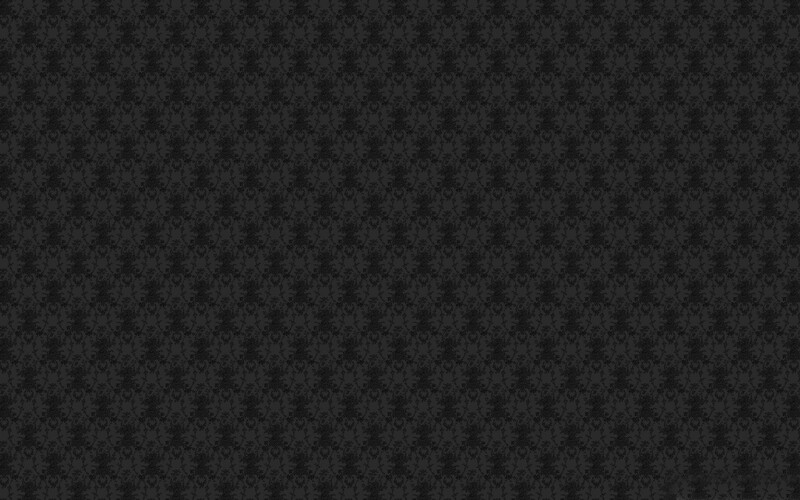 We just added it for effect. 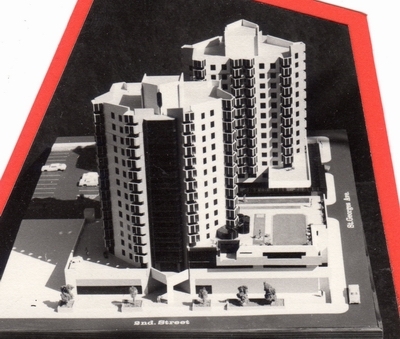 Hoson Center was another local development, right here in Richmond. 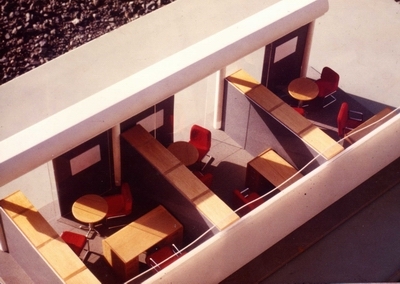 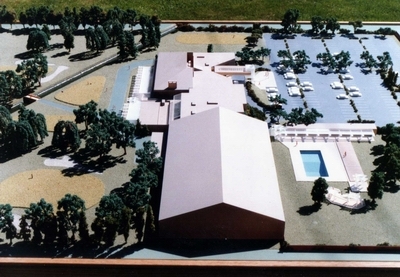 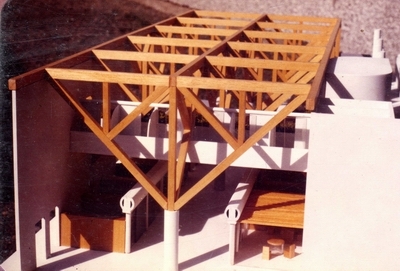 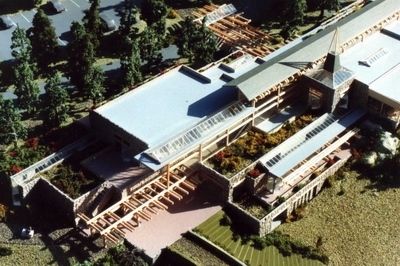 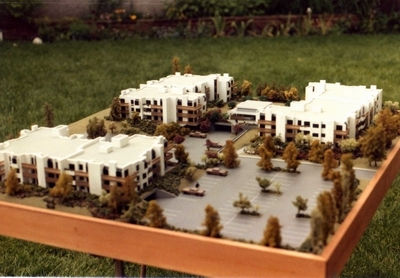 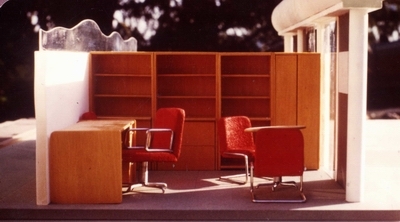 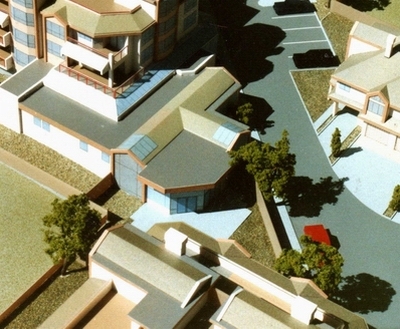 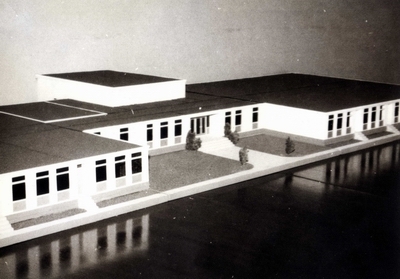 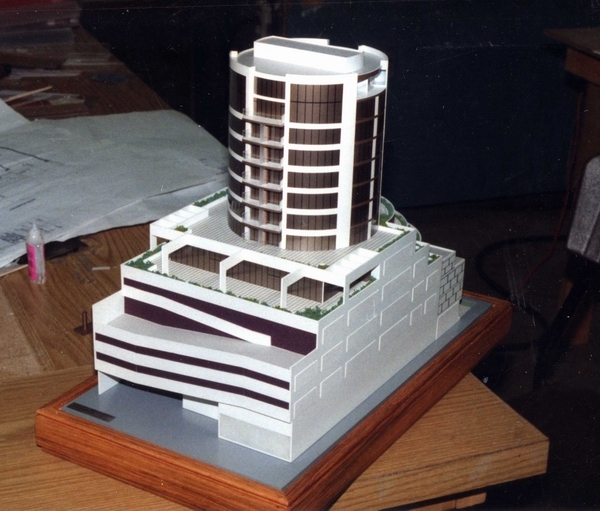 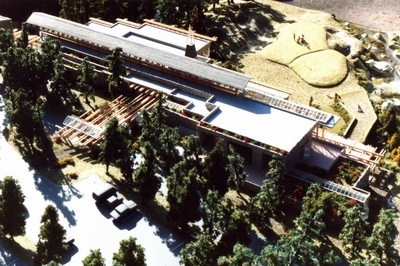 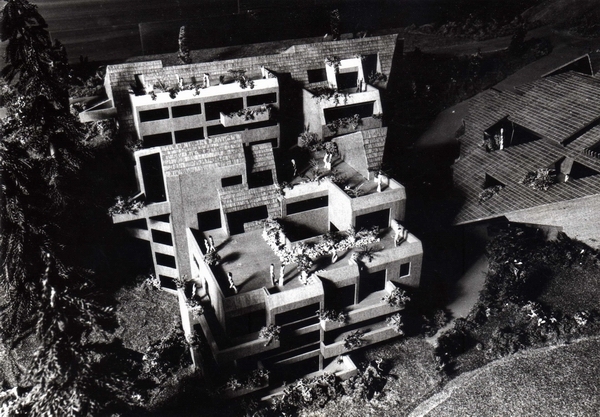 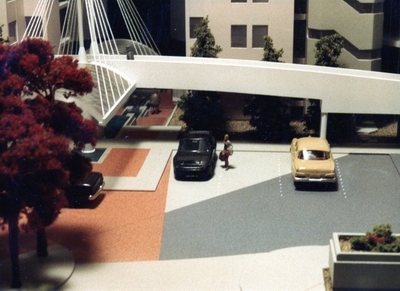 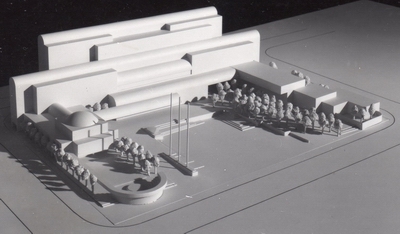 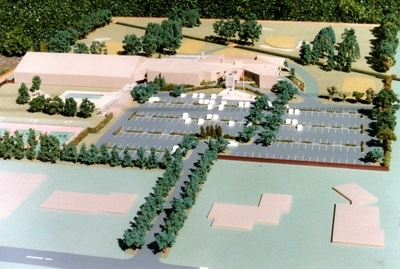 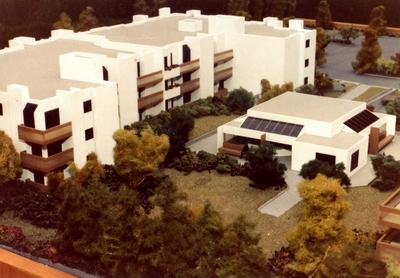 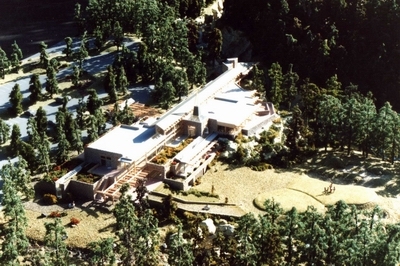 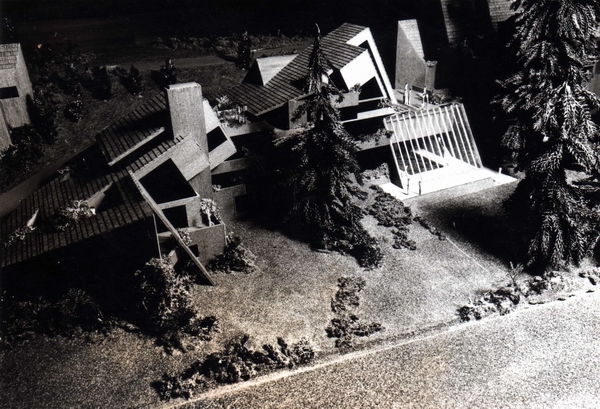 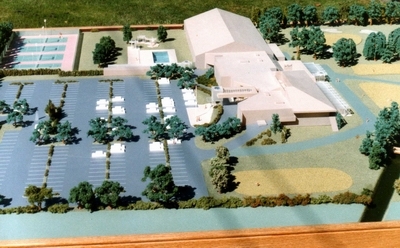 There were a few proposals initially, one by Architect Brian Kramer, for it's design, and I'm not sure which one finally got built, but this is one of the models we built. 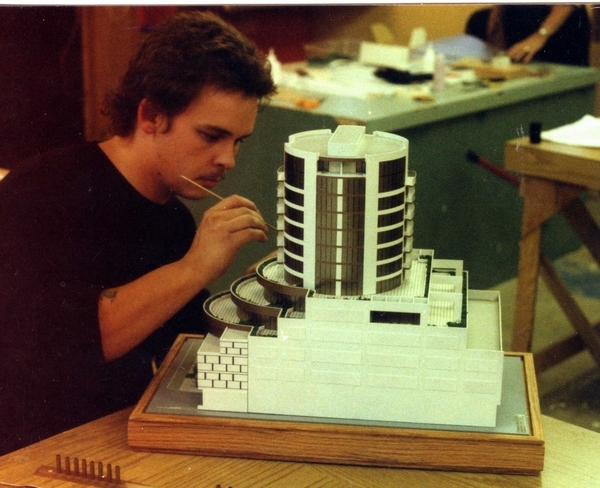 Pretty sure it was the final design. 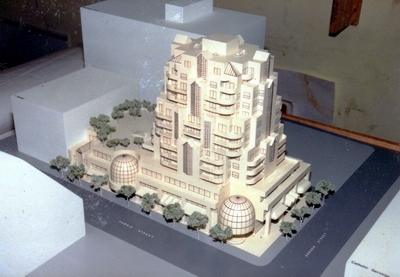 Robson Square Cambie St and Robson St.
large residential development by Paul Evanish Architects above and below.